The Steadfast Pen: The Sunshine Blogger Award /// My First Evah Tag! The Sunshine Blogger Award /// My First Evah Tag! It happened on a dark and stormy night. I was debating what to do for my next post, as it was still a bit too soon to write a follow-up to "A Misdiagnosis." As I sat there wondering, the voice spoke. It told me it was my destiny to do a tag. I was soon told by one of my followers that I had been tagged, and so that's what I decided to do. The end of that story, which was only 50% true. Anyway, let's get on the real reason for the post. The rules for the Sunshine Blogger Award are simple. First, you need to answer the 11 questions you've been given. Once you've done that, you need to come up with 11 new questions and tag 11 bloggers to do said tag. Capiche? But before I begin, I'd like to thank Lisa for tagging me in the first place! I wasn't sure what to do for today's post, so this was really helpful. Let's all give her a big round of applause for saving my bacon! Mmm . . . bacon. Uh, I'd better move on before I get too distracted. 1. Do you have favorite fictional families/siblings, and who are they? Oh, boy. Lemme think for a moment . . . I'd have to say Barry's families in The Flash. If you're a bit confused at this point, allow me to explain. Barry Allen (aka the Flash) has no siblings, but he's got some really great parents. They obviously all love each other deeply, and it's really cool to see. 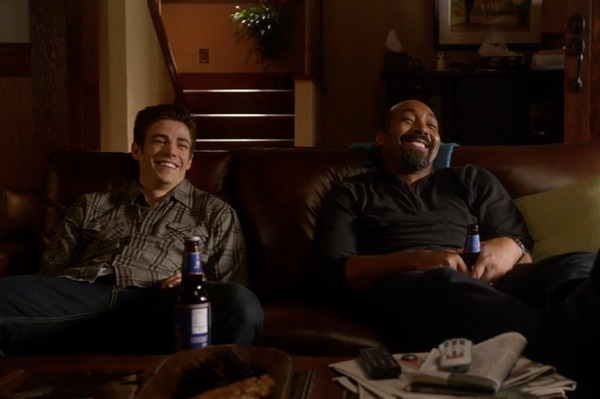 However, at the very beginning of the show, Barry's mom is murdered, and his dad is framed for the whole thing. A friend of Barry's dad, a cop by the name of Joe West, takes the young boy in. He has a daughter, and their love is also very strong and evident. They quickly make Barry feel like part of the family. I highly suggest you watch this show if you haven't yet. You'll see why I love the families here; the relationships in the show are all really well-done. I can't do them justice with my words. 2. If you could reform one villain (book or movie), who would it be? Another tough question. But I think I would love to see Loki reformed. Yes, he makes for a fantastic and dastardly villain. Wouldn't it be epic, though, if he teamed up with the heroes to take on Thanos in the future Avengers movies? Maybe it's just me, but I think he'd make a great addition to the team. So long as he kept up the kind of remarks he made in Thor: The Dark World when he and Thor were escaping Asgard. 3. If you could work with/be the apprentice of/learn from one historical figure (hero or not), who would it be? 'Tis a very unique question, indeed. To make it a bit tougher on myself, I'm going to remove the option of choosing Jesus, since He's kinda the obvious figure to pick here. I think I'd probably pick Abraham Lincoln. I mean, the guy went through so many setbacks and failures. Most people would've given up, but he kept pushing through, defeat after defeat, year after year. In the end, it paid off, as he became the president at the right time, when America needed him most. I'd love to work with him and learn all that I could. 4. Have you ever dreamed (when you were asleep, of course) that you were in a book or movie? If so, which ones? I feel like this has actually happened to me. Thing is, I don't remember very many of my dreams, or I'll only remember for a little while. So while my mind tells me I've experienced this kind of dream before, I can't recall any specific books or movies. If one suddenly comes to mind, I'll be sure to mention it at some point. 5. What are your favorite kind of book titles (e.g. one word, a reference, symbolism, with a certain word in them . . .)? I'd have to say they have to pop out and catch my attention in some way. For example, Vigilante is a great title because I love superheroes; when I noticed the book, it piqued me interest. 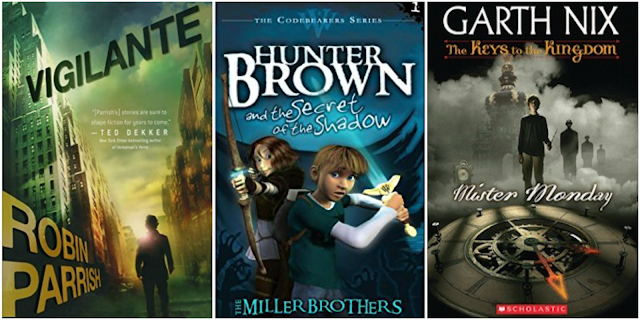 Another good book title is Hunter Brown and the Secret of the Shadow. Upon seeing it, I was curious as to what the Shadow was, along with what secrets it was hiding. A third example is Mister Monday, because alliteration is one of my favorite things in book titles. In fact, the series this book is in, the Keys to the Kingdom series, features similar titles for the other six books. So there really isn't just one thing that gets me intrigued in a book. It just has to hook me in some fashion. 6. If you could be the "sidekick" of one fictional character, who would it be? I'd choose to be a sidekick for Will from the Ranger's Apprentice series. I'd get him to teach me how to use a bow, track people, and do other epic things that Rangers do. I think it would be a lot of fun! Well, it wouldn't be all fun and games, but that'd be okay, because where there's a Will, there's a way. See what I did there? . . . Yes, I know it's a horrible pun! 7. If you were a superhero, what would your power be? 8. If you entered a fictional world, what is the worst thing that could happen to you? I'd die. End of story. Seriously, what's worse than dying? If you're looking for a more serious answer, I guess it might be getting trapped on that world and not being able to come back to Earth. That'd be pretty scary and/or traumatic for me. I'd eventually be able to start a new life, but I don't think I would ever fully get over the fact that I'd never see any people I love ever again. 9. What kind of book covers do you not like? You know the old adage, "Don't judge a book by its cover"? I do it all the time. If a book is unappealing to me, it'll be harder for me to pick it up. In fact, there are two book series that I started because of some of their covers. Weird, huh? So I suppose I don't like covers that are done poorly, or look old, or whatever. Again, there's not one certain thing that I don't like when it comes to a book cover. It's just that if a book doesn't have a cover I find awesome in some way or another, I'll be less inclined to read it. 10. What fictional character would you want as your sidekick? I'd want Prince Hadrian from Tracey's The Brightest Thread to be my sidekick. 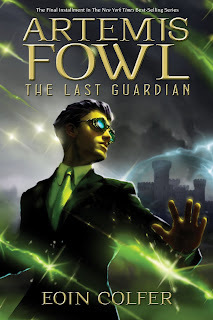 He's loyal, heroic, determined, passionate, just, and an all-around cool dude. I'd feel very confident if he was my companion on some kind of quest. We'd probably hit it off really well, and we could be really epic together! 11. What fictional character would you want as your arch-nemesis? No, not really, because then I really would die. Uh . . . my choice would be . . . I don't know if I should pick someone who'd be easy to fight or someone who could beat me to a pulp. I'll just choose Ganondorf from The Legend of Zelda series, because, although he'd be tough, defeating him would definitely make me feel like an epic hero. Now that I've answered the questions, here are mine! You are stranded on an island, and it's guaranteed you won't be rescued for a whole year. You have only one book and one CD (along with the means to listen to it). Which book and CD would you have, and why? What's your opinion on ghostwriting? Have you ever had an experience that deeply influenced your art? If you had to perform in a play, which one would it be? Which book have you read recently that resonated with you long after you finished reading? Would you volunteer to join a space mission in which you would attempt to create a Mars colony? Why or why not? If you could choose any book to be made into a movie, which book would you pick? What would you do if video games were the only creative outlet in the world? You get a package in the mail with enough money to travel anywhere and vacation for a month. Where would you go? In your opinion (educated or otherwise), what do you think would happen if a world government was established? You're about to get a song stuck in your head for a whole week. Which song is it, and why? As for the people to tag, I really don't know who has or hasn't done this tag, so I'm cheating a little. If you enjoyed the questions I came up with, feel free to pick up the tag on your own blog! Well, I think that's it for me today. Until next time, ciao! Hahaha, that would actually be pretty fun if Loki was redeemed! Can you imagine Thor having to put up with him? *I* remember having a dream about a book...sort of. It had Dragons in Our Midst vibes, anyway. Great answers, and a very unique set of questions! I'd totally steal them if I wasn't already somewhat swamped in tags. Of course they are! And yes, if it weren't for them, the show would have less appeal to me. Judging by the trailer for Thor: Ragnarok, he's somewhat redeemed . . . or he's an anti-hero. Either way, he's fighting alongside the good guys. Have I heard about this dream? I really can't recall. Thank ye kindly! Understandable; no need to have a bunch of tags on your plate. I just watched Thor: The Dark World recently. It wasn't as good as the first but still good. Loki was great! "Oh dear is she dead?" The comments and the character dynamics are so great. Not to mention the ending with "Odin". I loved your intro. XD And tags are the BEST for when one doesn't have ideas on what to post next. They're great! I loved reading all your answers. This was fun! I love how you'd want Hadrian as a sidekick! And I agree! He'd be an AMAZING sidekick! 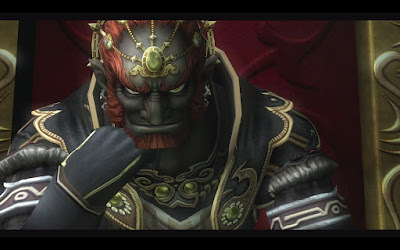 Also Ganondorf as an arch-nemesis is perfect. Lol! Have you seen the newest trailer for Thor: Ragnarok? Seems like this'll be happening sooner than we might think. Plus, he's on the poster for Infinity War, so I think we'll definitely be seeing more of him in the future. It totally would be! I'd actually pick super-speed over being able to fly. It's just more appealing to me, for some reason. XD Ooh, I hadn't even thought about telekinesis! It would be pretty handy. I feel like you just pulled the "87%" number out of your head. XD This is very true. Book covers can either make or break a book. I actually am not. I didn't have enough money for it, along with a project I could pitch. Hopefully I go next year. What about you? Are you going? having ganon as an arch nemesis would be cool. But it would get annoying to rescue someone over and over and over again. I am going to do this tag! I'm really late, I know, but I want to answer the questions. Yeah, I'm actually getting close to finishing it. I hope to get it up in the next few weeks. It's a lot of fun. Here's my blog btw. https://cap-ranger.blogspot.com/ shameless promotion. I'm not even going to try to hide it. Ranger's Apprentice for the win! Those were some good questions (and answers!). Welcome to my cozy corner of the Internet! I'm a Canadian who loves to devour good stories and then return the favor by writing my own. My LEGO collection is a massive one, as is my assortment of soundtracks. It is my passion to pursue Christ in everything I do. If you decide to stay for a while, you're bound to discover even more about me. Header image from https://www.scrapbook.com/store/ink-60-00727.html. Simple theme. Theme images by luoman. Powered by Blogger.